I understand that in Thailand a brewer has to make a minimum amount of beer to be allowed to operate, or there's some sort of similar rule. 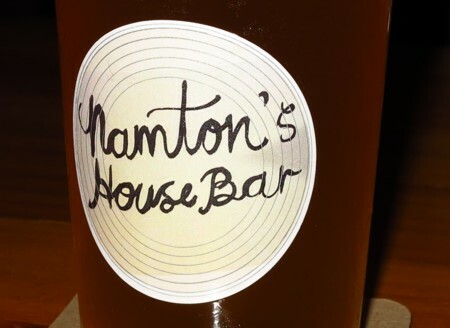 This to maintain the monopoly of the big brewing companies. But small brewerys are beginning to emerge to make British style beers rather than the cold lagers. 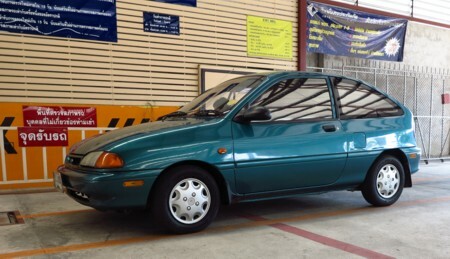 Every thing runs out on the 29th May, the insurance on both the Ford here in Thailand and the Mazda in Canada, and my visa to stay in Thailand too. 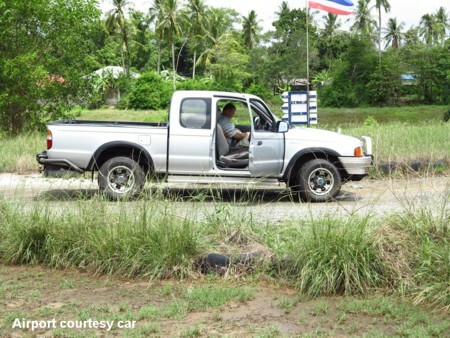 So I took the Ford in for its inspection and insurance renewal: 645 Baht, and then to the "Drive Through For Tax" to pay the road tax, another 692.25 Baht, and so the car is good for another year. 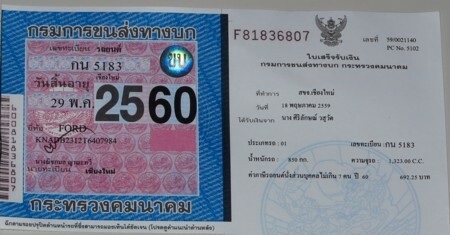 1,337.25 Baht. The Mazda will cost a similar number but in Canadian Dollars. 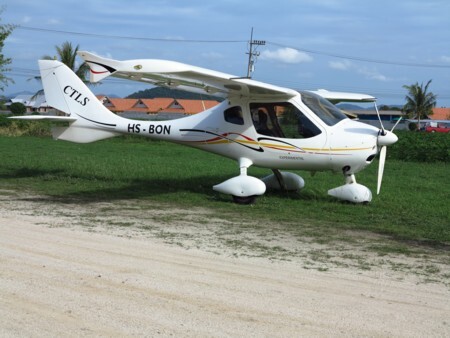 Nothing is static with a homebuilt aeroplane, improvements are made and things are tweaked to eventually end up with a near perfect aeroplane. The spats have now been fitted to improve the appearance of the aeroplane and to give it a few extra knots in the cruise. The next tweak will be to spray them with the final paint finish, they're in primer right now. 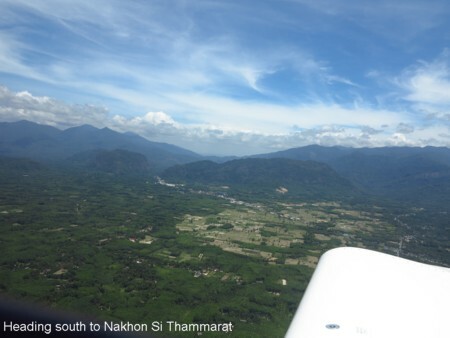 The radio work was fairly simple on this flight as we contacted Chiang Mai Approach on the way out. I gave them an ETA of 03:04z over Tak, and 04:28z at Bangkok Don Muang and these were both accurate. 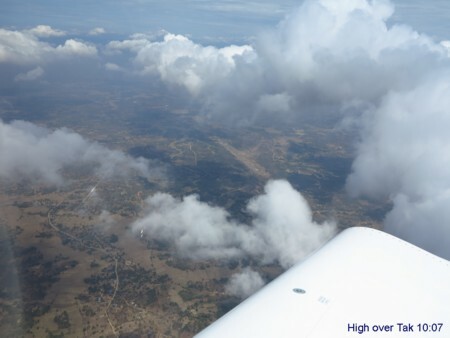 At 09:45 local time we had run into scattered cumulus clouds and so climbed to 5,500 feet for a more comfortable ride above them but still in sight of the surface. 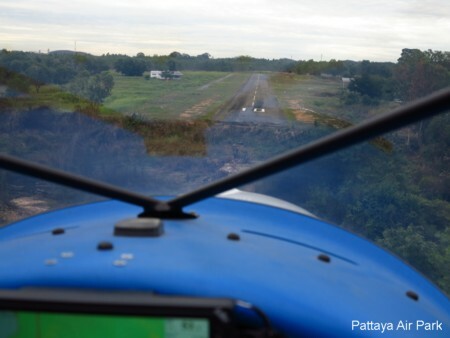 Next we talked to Phitsanulok, the Focal Military on 127.0, and then Takhli who gave us clearance through their airspace. 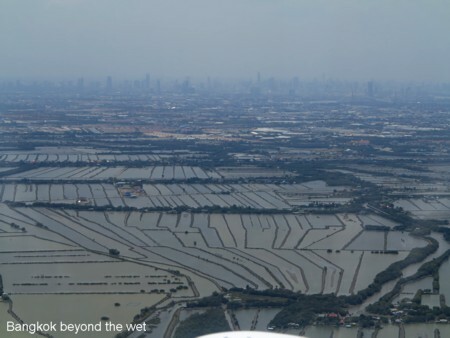 Bangkok told us to report at 2,000 over Ayutthaya. We orbited west of the airport until a gap in the Airbus traffic allowed us to zoom in and land on 21R. 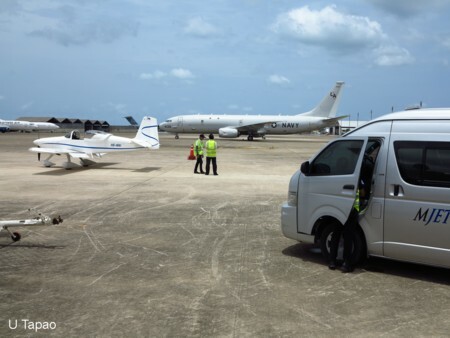 We landed at 11:28 after a 2 hour 14 minute air time and were given taxy instructions to MJets. 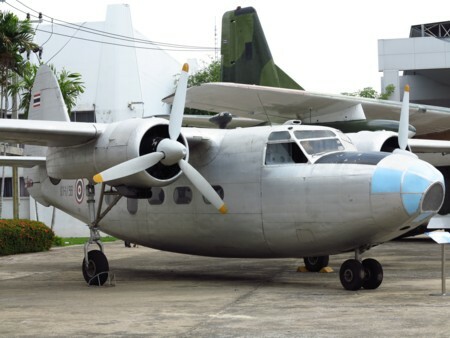 The first objective after arrival at Don Muang was to go to the Tango - Royal Thai Air Force Museum. The taxy droppped us off at the Nation Memorial by mistake... Oh well it was a good place to visit too. Above is a small Japanese tank in the shadow of a T28. 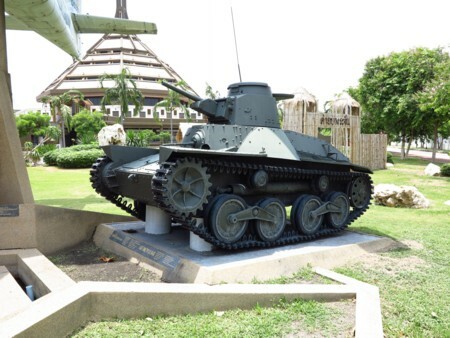 'Should be B J 2, which I think means WWII when the Royal Thai Air Force attacked the French at Siem Reap in Cambodia. 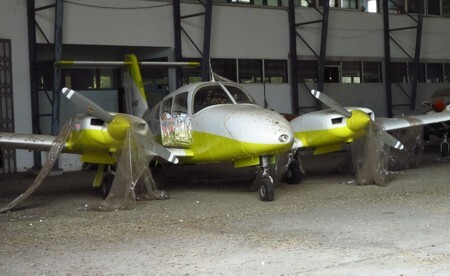 Behind it is a Pazmany PL2 military training aeroplane, and a Siai Marchetti SF260. 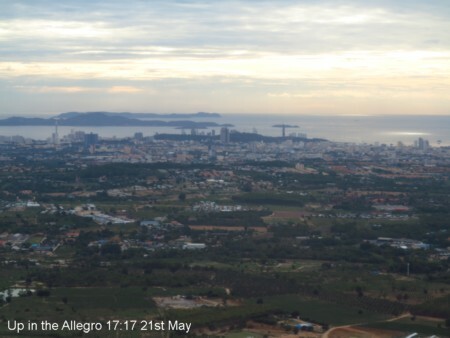 21st May, drove down to Pattaya and flew with Paul in the Allegro for 53 minutes. 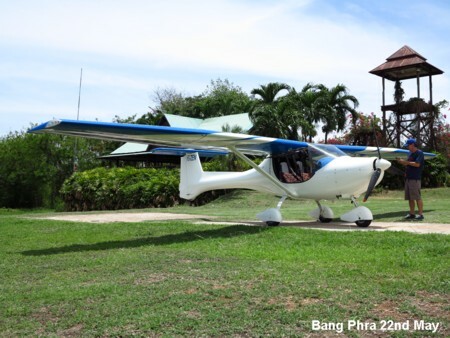 I wanted to check Pattaya Air Park out and did 2 touch and goes 0n 28, and one on 10. 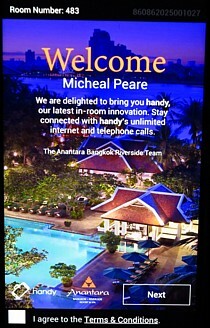 I stayed at Alasdair and Gill's house in Jomtien. 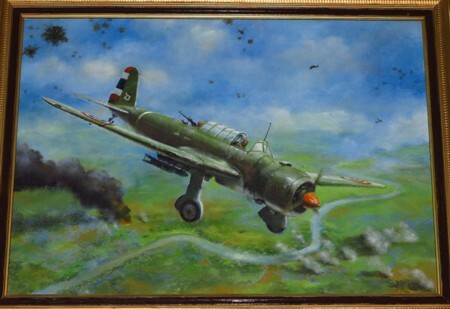 We flew the Allegro to Bang Phra but nothing was happening there, and so routed back via Nong Khor for a touch and go between parachute drops. Up with Alasdair in the Eurofox; we explored the different methods of doing forced landings for practice. 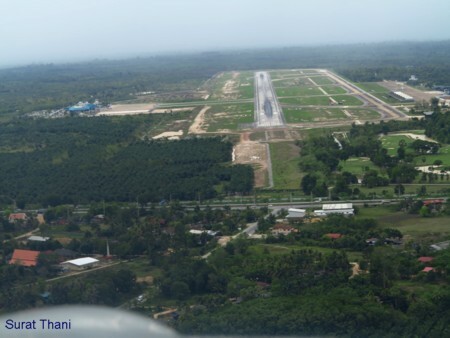 Takeoff was at 09:14 to climb to 2,500 feet initially and then progress higher as we headed south to Bangkok. 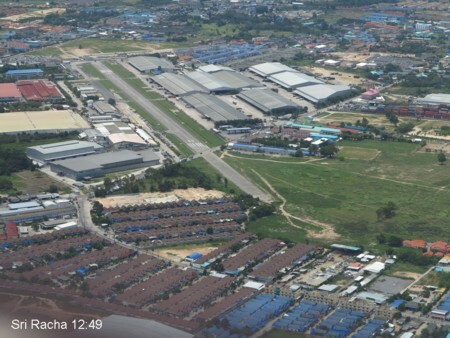 The approach to Don Muang was via Ayutthaya at 2,000 feet, descending to 1,500 feet then over Patumthani at 1,000 feet, and to five miles west. 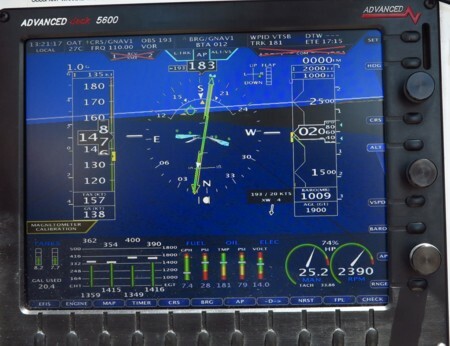 These reporting points were on the AirNav Pro system on the iPad, and for once it was working with the axxera GPS. 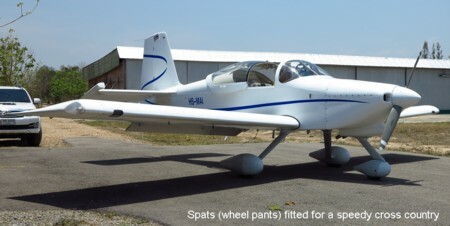 I know Khun Kraisi who works for MJets and so we had a very good deal for their handling charges, but we still had to pay the standard rates for landing and parking fees. 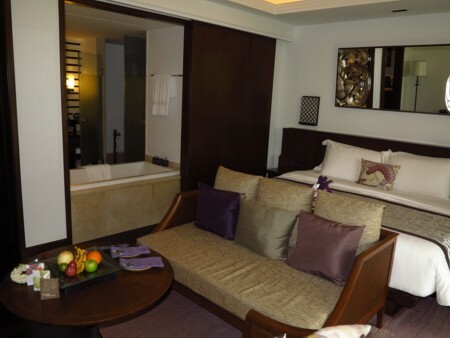 The landing fee was 575 Baht plus 7% VAT, and parking was 440 a night plus 7% VAT. 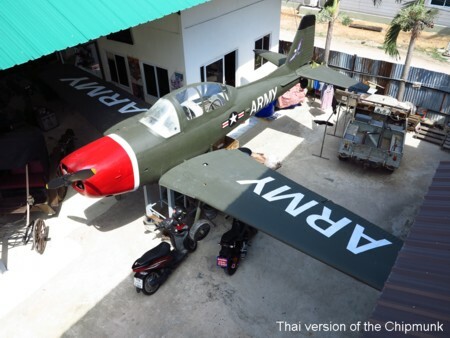 Another taxi took us to the Royal Thai Air Force Museum which has a collection of interesting aeroplanes of which I show a small sample here. 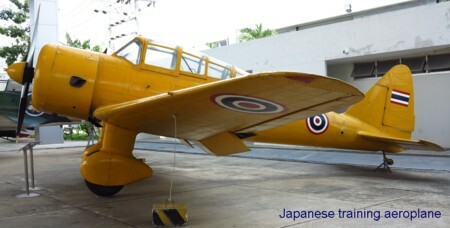 The Thais had 18 Canadian and 48 British built Chipmunks, there are two on display here and 1 is on display at Chiang Mai. One of these Curtiss Hawk fighters managed to shoot down an American B29 during the war. 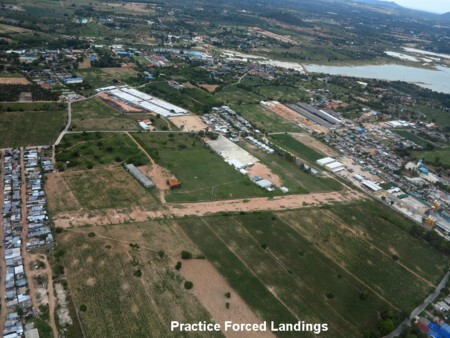 David has a job flying a small business jet here in Thailand. I know him from Boundary Bay. It's very rare for a foreigner to be allowed to fly commercially here. 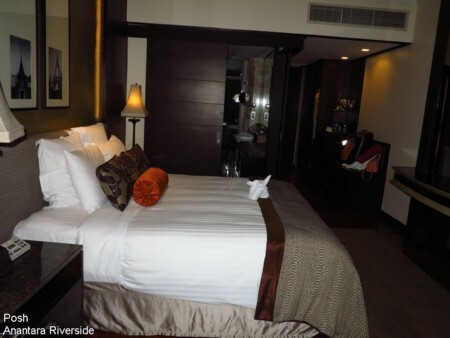 I met up with David in Bangkok on Monday and we whiled away some time, before taking the skytrain to Taksin Bridge for the boat ride back to the Anantara Riverside Hotel Resort. The Bangkok controller asked me if I was familiar with the west side reporting points and I replied negative, and then she let me off the hook by saying "Okay, I'll give you vectors". 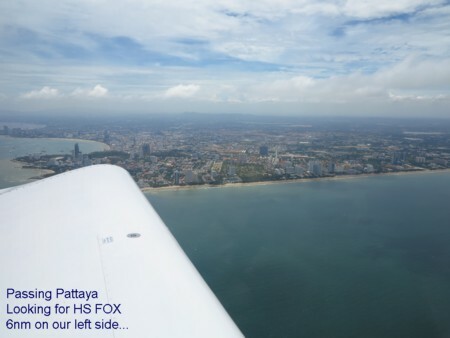 We were routed over Best Ocean and then along the long sea crossing to Pattaya, and from there into U Tapao where we landed at 11:37 after 52 minutes in the air. 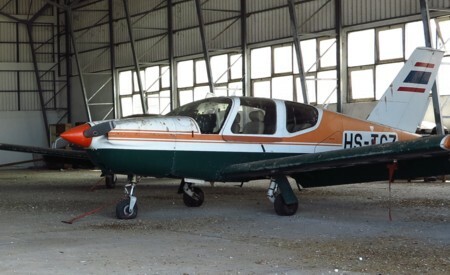 26th May: Up in the Allegro again with Paul for one flight, and then two flights with Andy in the CTLS, HS BON, to do some review exercises and PFLs. These were 'best laid plans' as on departure ATC told me to turn right onto 270. 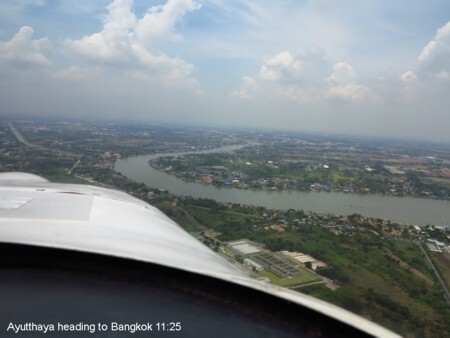 Now I needed the iPad and the axxera GPS to work with the Air Nav Pro to display the VFR waypoints on the west side of Bangkok... Of course it did not work! Why? 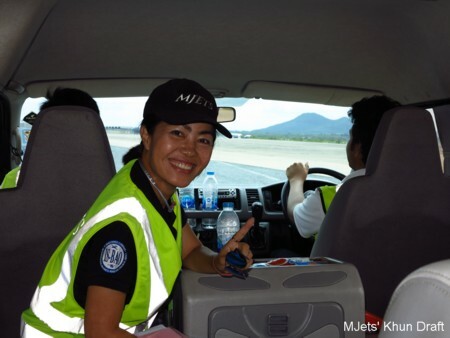 It works reliably except when I really need it..
MJets were there to greet us and see us through the terminal. 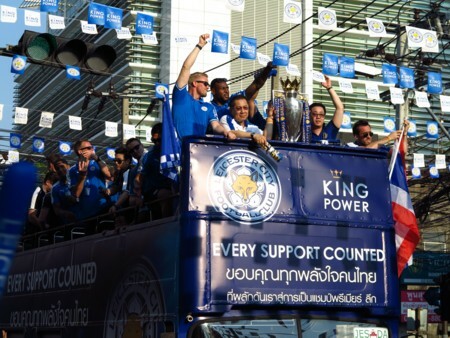 They also provided a van to take us to Pattaya, and later to bring us back again. Very good service. 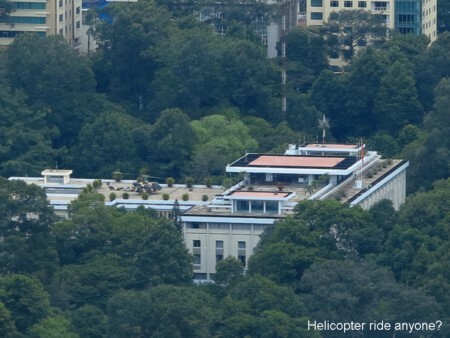 There were a lot of C17s at U Tapao, perhaps due to Obama's visit to Vietnam. 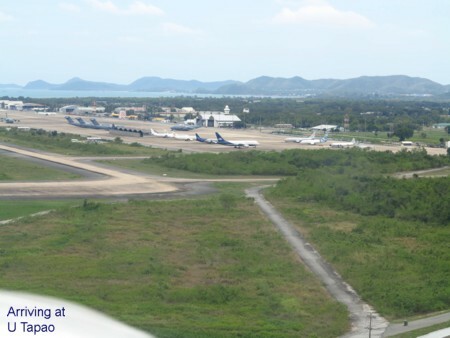 This airfield has a lot of parked aircraft. 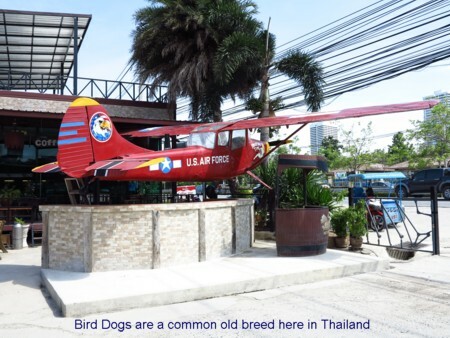 On Sukhumvit Road in Jomtien there's an "American Camping Store" with an odd assortment on Fan Trainers and other aircraft, shelves of aircraft radios, instruments, generators, and spare parts, old cars etc... Worth a visit and coffee in the cafe with a CT4 trainer inside.. 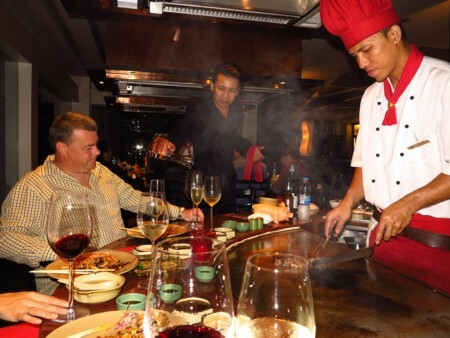 I stayed one night at Alasdair and Gill's, and two nights at the Hilton in Pattaya. Khun Draft enjoyed her flight though she felt a little queesy at the end. 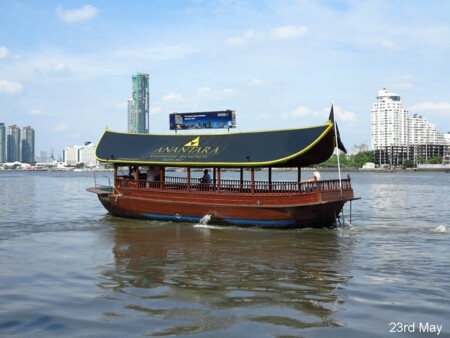 From Bang Phra we were in contact with Bangkok Approach on 125.80 who asked us to cross the water at low level... 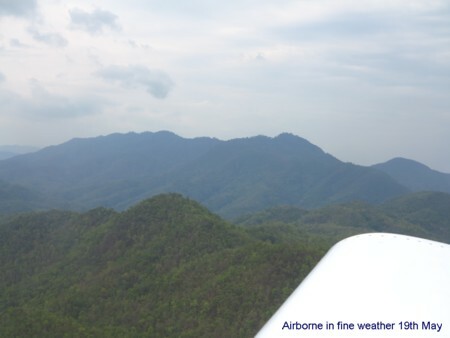 I was able to get 1,500 feet which gave us a little more comfort. 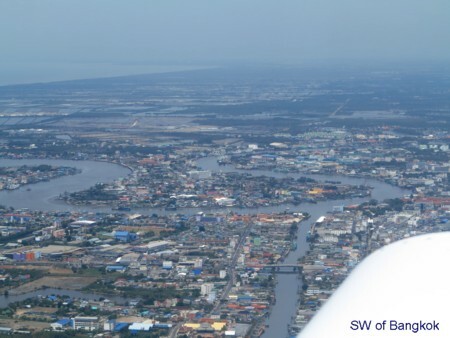 We passed Best Ocean and then flew west along the shore, the aim was to route into Hua Hin via point November. 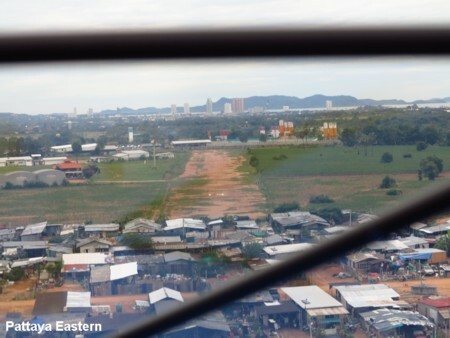 after contacting Hua Hin we were asked to orbit as there was a helicopter a few miles to our right... We saw the helicopter, a Royal Flight S92, and were allowed to follow it in. Time on this leg was 1 hour 17 minutes. You have to dress the part here in Thailand and so I wear a pilot shirt every time I fly. The Royal Navy flight planning department had a sign by the door stating that proper attire is required. 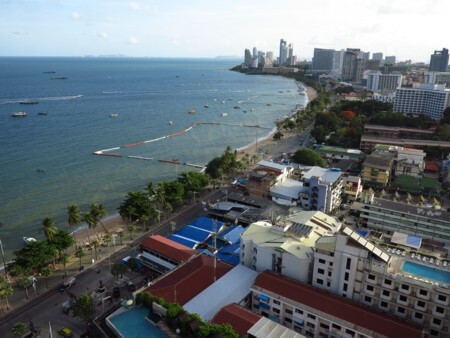 I went in and filed two flight plans: the first was to take Draft for a quick local flight, and the second to fly up the coast, across to Best Ocean, and then follow the coast around to Hua Hin. 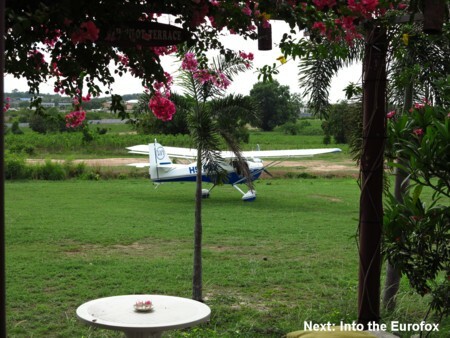 On the flight plan I quoted the number that authorised our flight into Hua Hin. 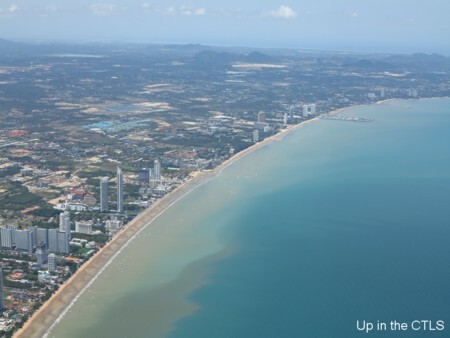 You need three business days to obtain permission to fly into Hua Hin due to its position close to a Royal Palace. Depature from U Tapao was at 12:29 and we carried on up over Bang Phra. 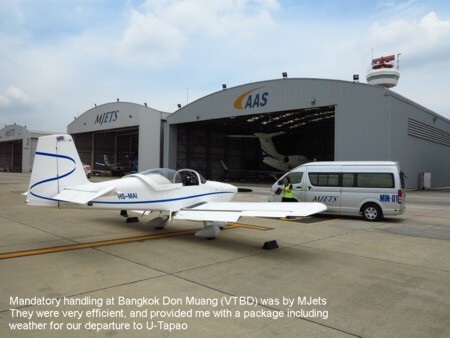 U Tapao ATC are used to a variety of aircraft flying in their airspace and they do a very good job. 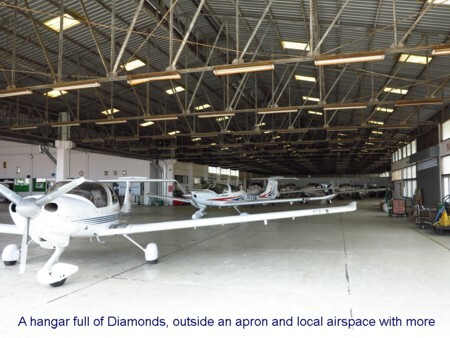 CATC is a busy school with a fleet of DA40s, both Thielert diesel and Lycoming powered, and DA42 diesel twins. 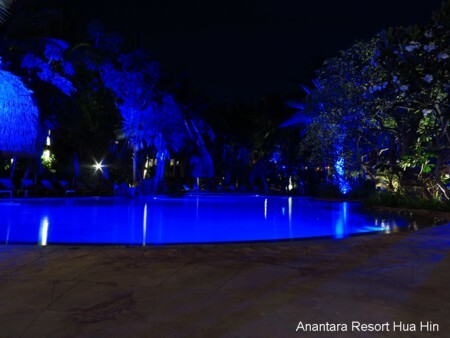 We took a taxi to the nearby resort... 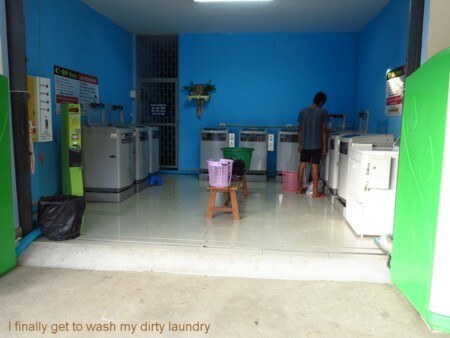 But I can't do the beach holiday, my visa was to run out and so I had to leave Thailand and then return. 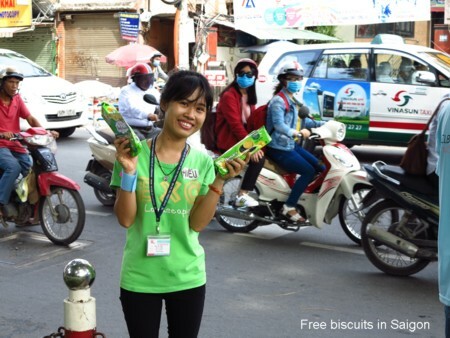 I chose to go and visit April in Ho Chi Minh City, or Saigon, Vietnam. I went into town, printed off the visa application form and had some pictures taken. 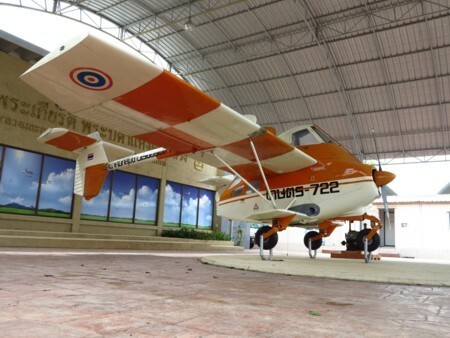 Hua Hin is home to the Civil Aviaition Training College. and I knew that she'd need a wash when we came back. 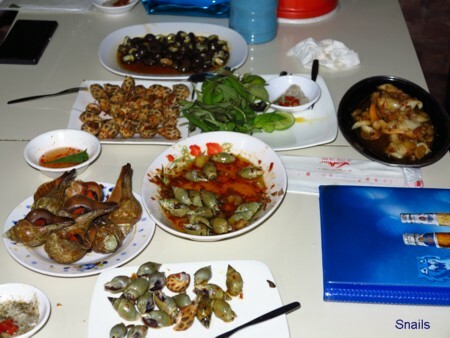 They were eating snails in the restaurant, and this was all they had on the menu. There are a lot of small cafes, shops, and bars in odd buildings, seemingly hidden, but ready to be discovered. 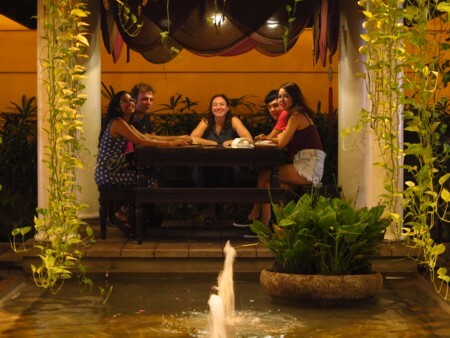 We met up with other expats in a restaurant where we were shown to a table in the middle of things, and then to a posh head table for an excellent choice of Vietnamese cuisine. Monday morning I caught a taxi outside the apartment building among the sea of motorcycles bearing people to their jobs. The taxi cost 109,000 Dong back to the airport where I caught Thai TG551 back to Bangkok. The aircraft was on time, and there was the usual problem with Chinese and Vietnamese passengers undoing their seat belts and standing up as soon as the wheels touched the ground. The 777 taxied to maintenance and we had to take a bus back to the terminal. I was surprised by a phone call from NaRuk immediately after I turned my mobile phone on. She was there to pick me up. 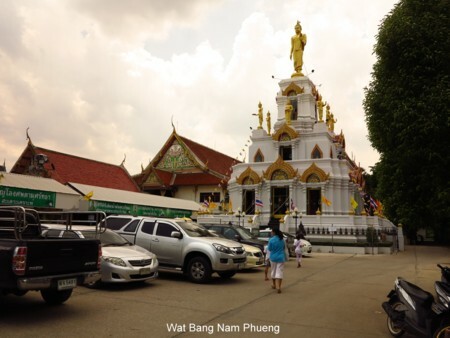 We drove to Victory Monument, had lunch, and then I took a mini van back to Hua Hin (180 Baht) and was dropped off at the hotel. On Saturday morning I took a 250 Baht taxy ride to the Hua Hin bus station, bought a 269 Baht bus ticket to Suvarnabhumi, and caught the 10:30 bus. Seat belts are worn on this bus... The bus attendant came down the aisle to ask everyone to put their seat belts on. The bus journey took four hours direct to the airport. The Thai Airways 777 was late to the gate, but still arrived on time at Saigon Airport. April was not there to meet me, but then motorcycles are not allowed on the airport! 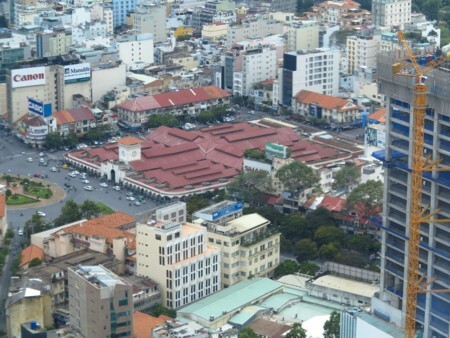 HCM is known for the four million motorcycles. The taxi driver was confused as to the address of the restaurant where I was supposed to go to, but with phone calls we eventually made it, and the fare was just inder 150,000 Dong... The driver took my 200,000 Dong and ask for a tip, i.e. no change. I slept comfortably in April's spare room and in the morning I was dropped off outside the English language school where April works. I went for a walk, through a park and around to Ben Tanh Market where I was accosted a couple of times, and a shoe polisher did me for too much money. Dong is paid in thousands; 10,000 Dong is $6, be careful. I stopped for a coffee in a nice coffee shop, Avanti, and tried Vietnamese coffee. I met April after her morning teaching session and we rode the Super Cub through the traffic to the Bitexco Tower where a good lunch was had while taking in aerial views of the city. The afternoon was followed doing the tourist thing... I could wirte a lot more on this place, but I need to keep this brief. 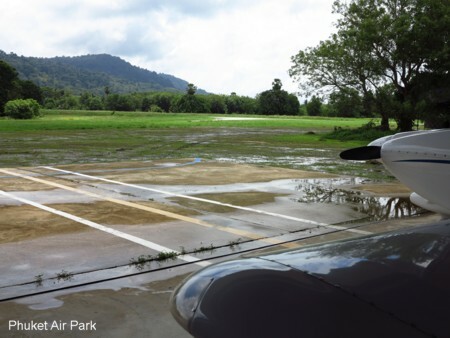 After paying the 85 Baht landing fee we decided to go no further as the weather deteriorate rapidly and the high ground on our route disappeared. 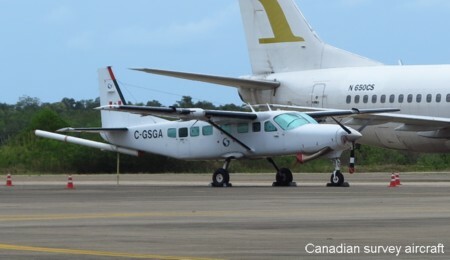 Takeoff was at 11:48, we were directed to do an early left turn to 090 degrees then told to interecpt the 110 degree radial and fly it for 6 nautical miles before proceeding enroute. This to keep you well clear of the Royal Palace. 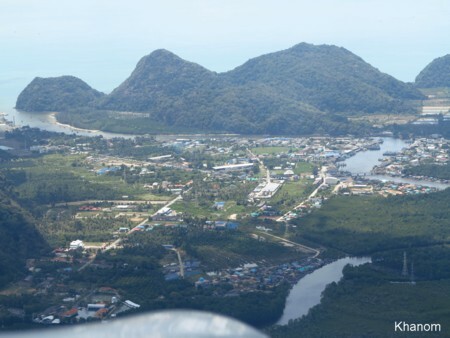 The departure procedure was followed by a scenic flight along the coast, passing Prachuap, then Chumpon, and then a run into Surat Thani to land at 13:44. The wind was gusty as we arrived, and the controller gave us updates on direction and velocity as we flew our final approach. 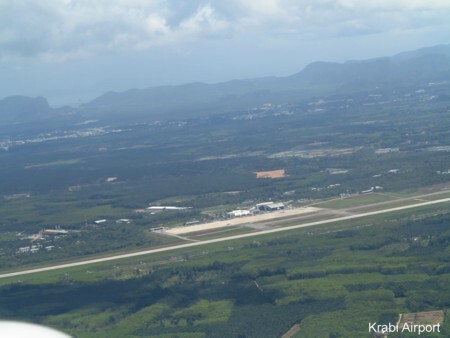 So we departed eastbound to Khanom and then south bound to Nakhon Si Thammarat, and then through a mountain pass towards Krabi and into Phuket Air Park. 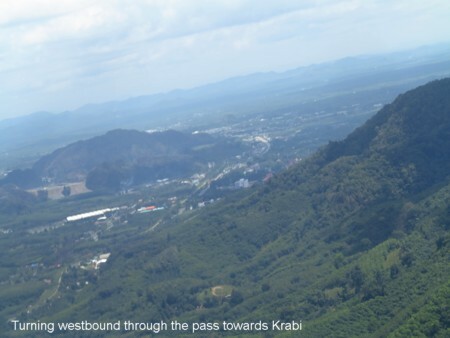 After passing Krabi we saw showers ahead, and Phuket Approach told us to descend to 1,000 feet to cross the water to Phuket Air Park. I was most concerned about the brake effectiveness in this RV9A,but in the end we touched down gently on the rain soaked grass and slid to a stop. The field is wet, but not boggy, thank goodness. 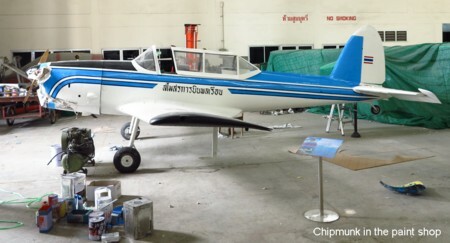 Khun Suchart's staff were expecting us, and came out with a bucket of water to wash the aeroplane. They also gave us a pick up truck. I may have got my laundry done, but the monsoon rain soaked it as it was put out on the veranda to dry, while Daren and I went out to play pool. Ed called to say that Phuket was gin clear this morning, and so we topped up the fuel from 50 litre cans supplied by the airport. 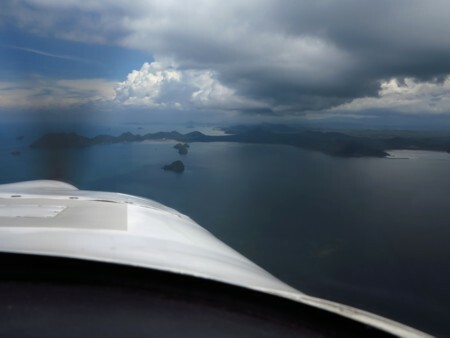 I wanted to arrive in Phuket with only enough fuel for what we needed for the planned flying and so devised a scenic route to get there. Maybe later, I will update this site again with more detailed information on this trip, but this has taken me more than 12 hours to do, it's too much.